Naut’sa mawt Tribal Council is run with guidance from an Elders Council with representatives from its 11 member nations. The Salish Sea Sentinel is profiling a new elder from the council each month. When I sat down with Homalco Elder Vera Peacey, she spoke about the importance of tolerance and self-development. “I was taught early in life from my family to be respectful, and considerate of others,” she said. Vera lives at Homalco First Nation, but she was born in Vancouver. She grew up in Redonda Bay, a small fishing village near Church House and Klahoose First Nation. Her father was originally from Russia, and her grandmother was from the Pielle family, but married into the Joseph family of Tla’amin Nation. 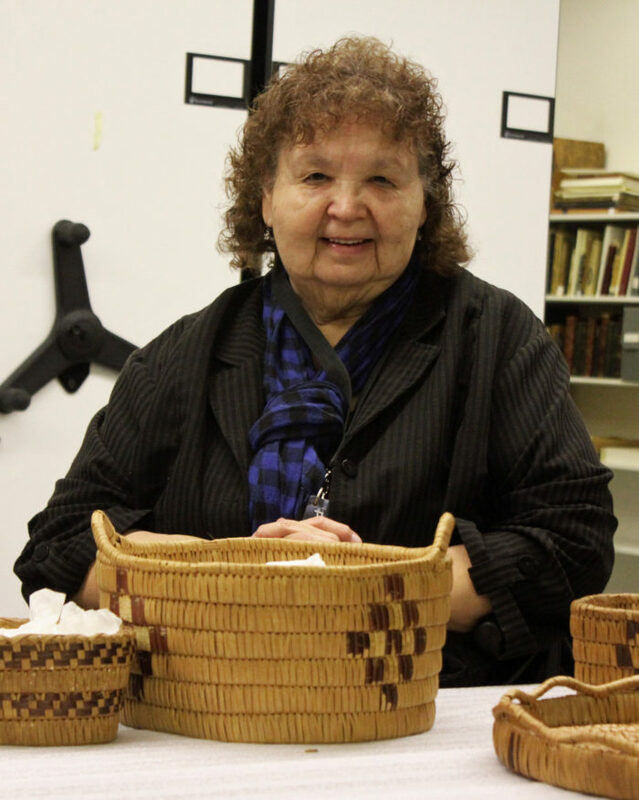 Learning how to weave baskets was a skill passed down through the generations, and Vera learned to weave as a child from her mother Irene and Great Aunt Annie. Irene and Annie’s baskets can be seen to this day at the Campbell River Museum. Vera and her husband Dave of more than 50 years have three boys –  Ron, Kevin and Todd — as well as seven grandchildren and five great-grandchildren. Vera worked for the Province of B.C. in safety and First Nations health for more than 20 years. She was also the housing coordinator for Homalco and Klahoose. She spoke of how she would never have been able to get these jobs if she had not returned to school when she was 39 years old, when she entered a women’s program that taught her administration and computer skills. At the same time, she received her driver’s license. Currently Vera is still working for her nation temporarily as coordinator for an upcoming language gathering being held at Homalco with surrounding communities. We value all you do for us Vera, and thank you for sharing your knowledge, making us stronger.